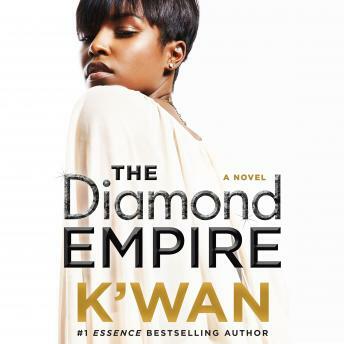 #1 Essence bestselling author K'Wan returns with The Diamond Empire, the explosive, hard-hitting follow-up audiobook to the street love story Diamonds and Pearl. It's about to be an all-out war. While an ambitious rival has taken over Diamonds's crew, Diamonds lies in wait in exile, carefully planning his next move to comeback and reclaim his position as king of the streets of New York for good. But when an unexpected enemy from the past one-ups Diamonds and beats him at his own game, Diamonds needs to dig deep into his bag of tricks-and make an unlikely alliance-in order to climb back to the top. After opening her heart to Diamonds and then having him disappear, Pearl lives her days in a very dark place. But when her father's empire is toppled and a gaping power vacuum needs to be filled, Pearl is drawn into the very life her father so desperately wanted to shield her from. Pearl needs to fight tooth and nail to become queen of her father's kingdom, as Diamonds claws his way back to Pearl.